Don’t Miss These Sharp Gottcha Gold Two Year Olds at the April Hastings Paddock Sale! 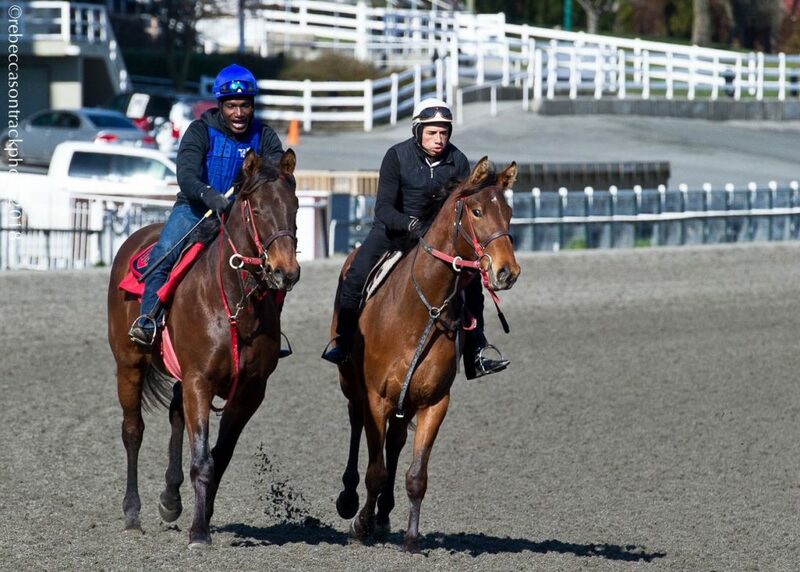 Forward-training youngsters by Gottcha Gold will make terrific additions to your stable! Want a quick way to build yourself an awesome racing stable for 2018? Visit the Hastings Paddock Sale and check out these two forward-training two year olds by MGSW Gottcha Gold! This gelding, Kesse, and filly, Hilariously Naughty, get high marks from their trainer! They offer exactly what you’re looking for in bright, smart youngsters who have what it takes to win! Not only do they exhibit the power and athleticism you look for in racing prospects, they handle all of their lessons like pros. We believe they get these qualities from their sire, Gottcha Gold, and their families are just as strong. Take a look at their info below, and check out the links to their catalog pages. We’re sure you’ll agree these youngsters have a lot to offer. Our horses’ sire is MGSW Gottcha Gold; he is a half-brother to G1SP American Freedom! As a racehorse, Gottcha Gold was top class: he won stakes at 3, 4, and 5, including the G3 Philip Iselin Handicap. Gottcha Gold won $1,258,000 CDN and was first/second in 11 stakes, including the then G1 Pimlico Special & the G1 Breeders’ Cup Dirt Mile. Gottcha Gold ranks among the leading Canadian stallions and offers the speed and class of the Mr. Prospector line through his sire, Coronado’s Quest. Gottcha Gold has sired over 6% black type horses/starter lifetime! Kesse’s dam, See You Again, is by the great Holy Bull, he a top sire and outstanding broodmare sire. He is the broodmare sire of champion Judy the Beauty and good sire, Munnings. See You Again has had two foals to race, both winners. Kesse’s family also includes a number of additional black type stakes winners. Hilariously Naughty, like Kesse, also shows the promise and talent of her sire. Her family is strong, with her dam, I’mNaughtyandnice, a SW; and half sister to Grooms Derby, another black type SW. She has had two foals to race, and 1 winner. The family includes several additional black type stakes winners and stakes-placed horses. I’mNaughtyandnice is by Straight Man (MGSP and G1SP), a son of the top sire Saint Ballado. 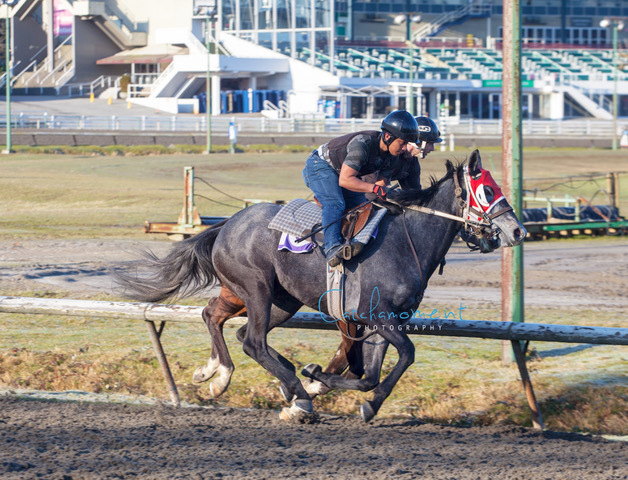 Superb Opportunity to Own Quality Two Year Olds – Come See Them April 7! Both of these promising young horses can provide you with a terrific way to start or add to your stable for 2018! Enjoy racing this year with one or both of these sharp Gottcha Gold youngsters! They’re athletic and all business, with great minds! Definitely nice additions you’ll have fun rooting for! You can see these quality two year olds at the Hastings Paddock Sale Preview on April 7, at 1 pm. If you would like more information, please contact us at (250) 546-2476 or email strideawaythoroughbreds@hotmail.com. Power Corrupt Race 5 Wildcat H.
Reducing Horse Racing Fatalities: Where Do We Go From Here? Fatal injuries in North American flat racing horses has decreased by 23%, but there’s still work to be done. 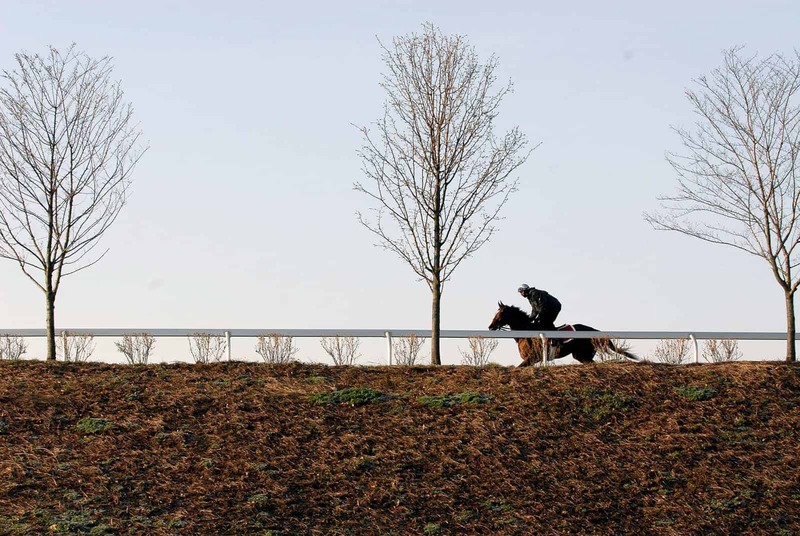 The occurrence of fatal injuries to horses in flat racing in North America has decreased by 23% since the inception of standardized injury reporting into the Jockey Club’s Equine Injury Database. The declining trend in fatalities began in 2013, and achieved statistical significance by 2015. This reduction, we believe, can be attributed to meaningful change within the culture of horse racing as expressed in multiple safety initiatives. In Kentucky, this change has manifested not only as a decrease in racing fatalities, but also decreases in regulatory veterinarian-initiated scratches for unsoundness and the number of horses observed to be unsound post-race. Others assert that the decreased occurrence in fatalities is an expression of the Hawthorne Effect, in which there is an improved outcome as a consequence of a population’s awareness of being observed. This is perhaps not so rewarding as the idea that the combined effort of the entire spectrum of racing stakeholders made it a safer sport. But at the end of the day, either way, we’ll take it. The 23% reduction in racing fatalities is not an abstraction. Hundreds of horses did not die that, in the past, might well have. The important message is that the occurrence of racing fatalities is not immutable. This should serve both as encouragement and warning. Encouragement in that positive change is possible, and so efforts to improve safety should, and must, continue. There is additional work to be done through investigating biomarkers of early onset orthopedic disease, improving decision making at all levels that further safeguards the long-term health of the horse during and after its racing career, identifying business models that incentivize human and equine health and safety, and developing relevant and engaging continuing education programs for all those in contact with race horses. And the warning? Change can also be negative. 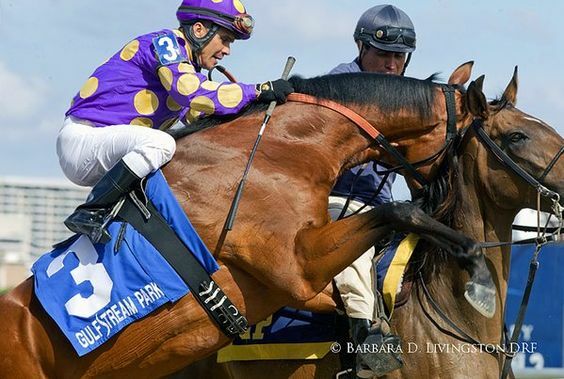 Complacency, the assertion of a mission accomplished, puts horses and their riders as well as the sport as a whole at risk, should racing fatalities be allowed to increase as a consequence of inertia and a loss of vigilance. The occurrence of racing fatalities in North America continues to exceed that experienced elsewhere in the world. 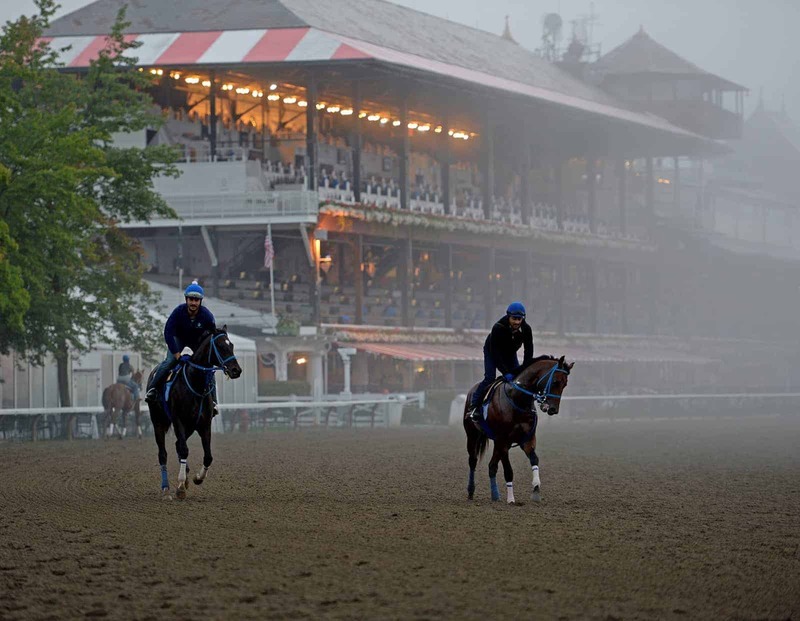 Until North America can legitimately be acknowledged as a leader in protecting the health, safety, and welfare of racehorses and those who ride or drive them, our work is far from done. With a new place on the sales calendar, and the distinction of being the only selected auction remaining in the juvenile marketplace, the Fasig-Tipton Gulfstream Sale of 2-year-olds in training will be renewed March 28. Talks Ongoing About Returning Take Charge Indy to U.S.